I can’t wait till you get to Episode 18: Future’s So Bright, I Gotta Wear Shades. Despite being a fantasy episode its one of my favorites. A rare truly funny episode. I hope you’ll give it the detailed review it deserves. New headcanon: Brian has no character traits because his father and uncle do not either. Tanner family genetics includes a lack of character traits. Lynn has some because she takes after Kate. Eric? Too soon to tell. Woo! Mentioned in the article! High five, Kim! With regards to Bullock being added at this late stage in the game, maybe the deal was already done before the cancellation came through, so while the scripts got done with that in mind – or at least heavily suggested – the Jim J addition would have had to have happened prior to the week-to-week scripts being written, so he was added before the writing was “on the wall” so to speak? There’s also the idea that he was specifically meant to replace Jake, since they knew he was leaving, since he straight up got a better gig. They HAD to write Jake out, but the studio/producers/”writers” felt they still needed a Poochie character and chucked in this guy. but seriously, that’s the best I could figure neal out for the little time he is in this season, I say he more of a mega willie because of the way he dresses and talks, it makes him appear certainly not the type of person to be a horndog, but you do make a good point that some of the things neal saids and does counterattacks his nerdy personality. then again i do know a few nerdy people that don’t play chess, but still do other nerdy things. but you are right that neal is not a very defined character here, to appears one way but said and does things that say he is another way and we have so little info on his back story that we don’t know what kind of character he is supposed to be. 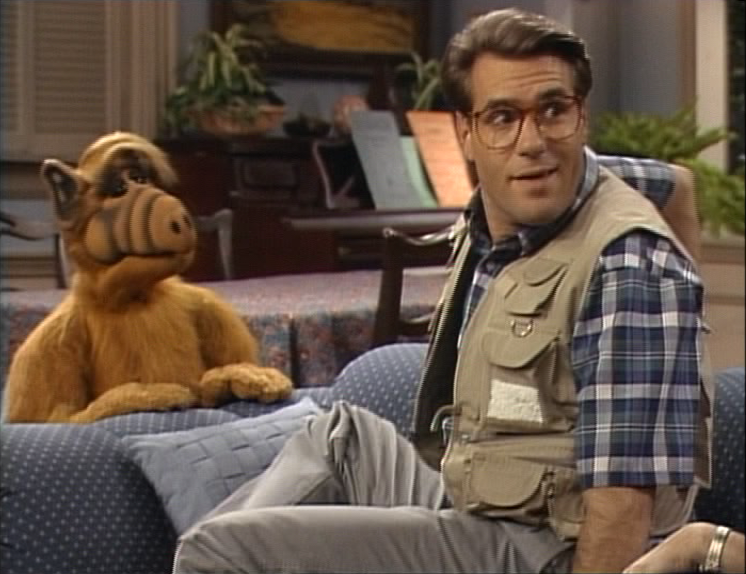 to me, neal finally meeting ALF went way too passively, I did like the fact the tanners were naturally nervous about revealing ALF is another person and I like the bit that it doesn’t go exactly as planned ( but I agree ALF should of stayed out of the scene longer to make it more effective.) 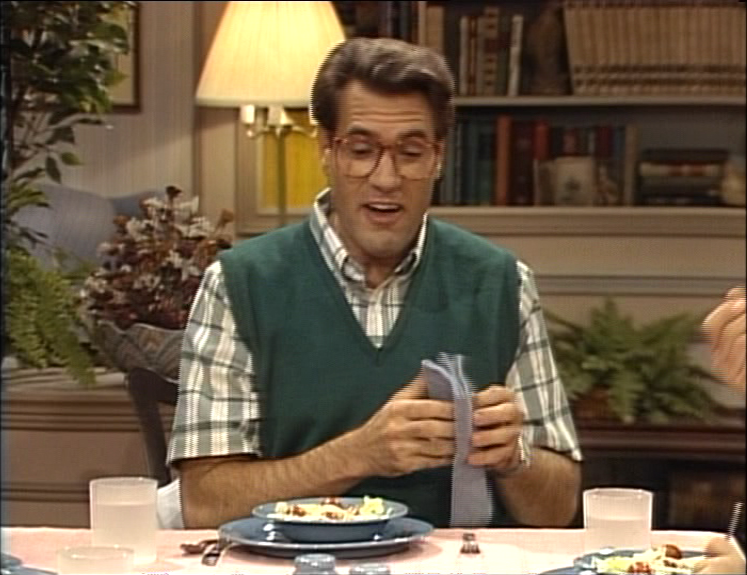 but when the big moment finally comes when neal sees ALF for the first time it doesn’t seem that big of a deal. 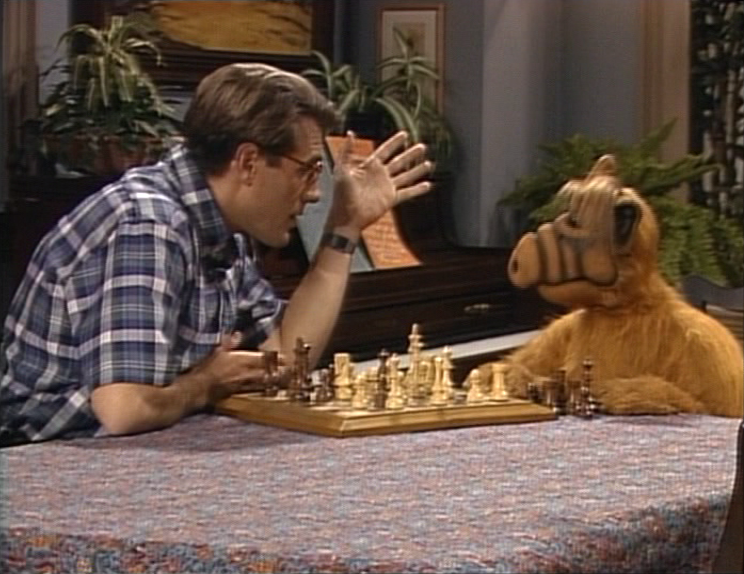 yeah, neal does get shocked to see ALF, but not much of a shock you would expect from a guy who as never seen an alien and suddenly as a furry 3 foot tall one staring him in the face and the next moment they are playing chess. 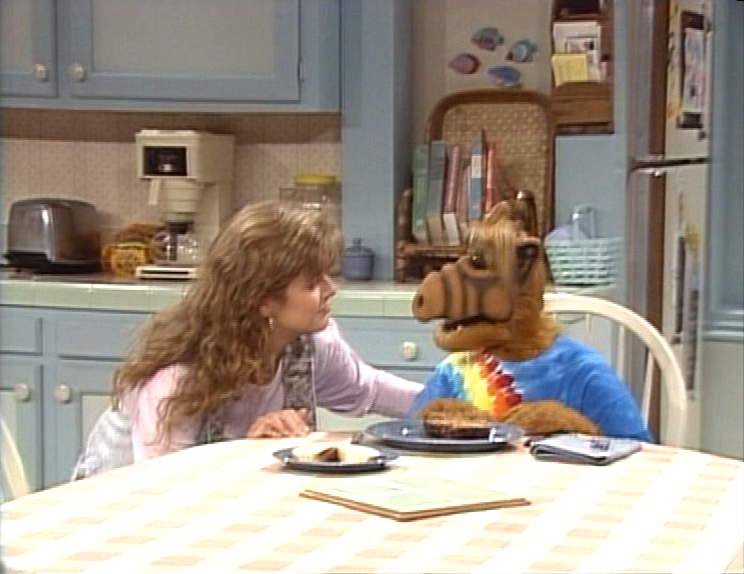 it was just like “meh okay, you meet the alien now, let’s move on.” I guess ALF as meet so many other people by now that the big shinning movement of ALF being revealed to someone as lost it’s magic. 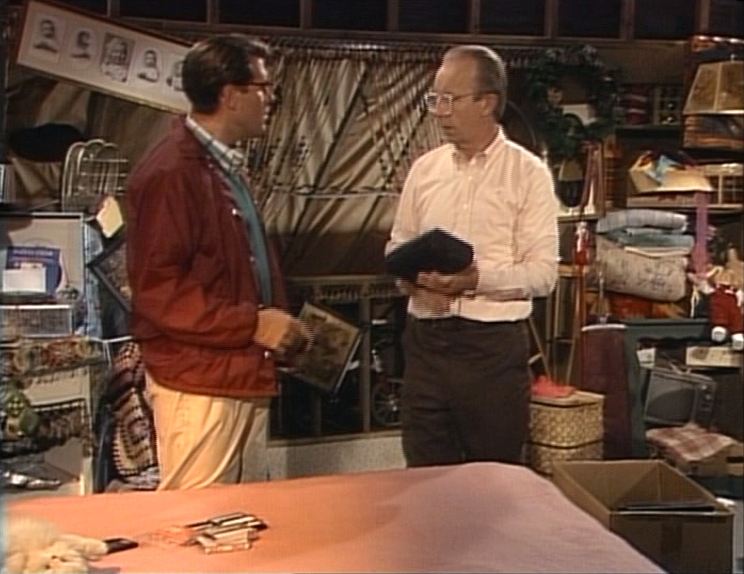 Not that I’m going to give the writers credit for seeding this, but I can easily imagine a season 5 where Neal and ALF strike out together in Neal’s camper, exploring these great United States while on the run from the Alien Task Force, sexing up the locals in numerous small towns. I feel like I would watch three episodes of that and give up. Oh, I didn’t say I could imagine it being ~good~. You know, it took me a while to figure out what your scenario reminds me of, and only now did it click for me: Master Ninja. 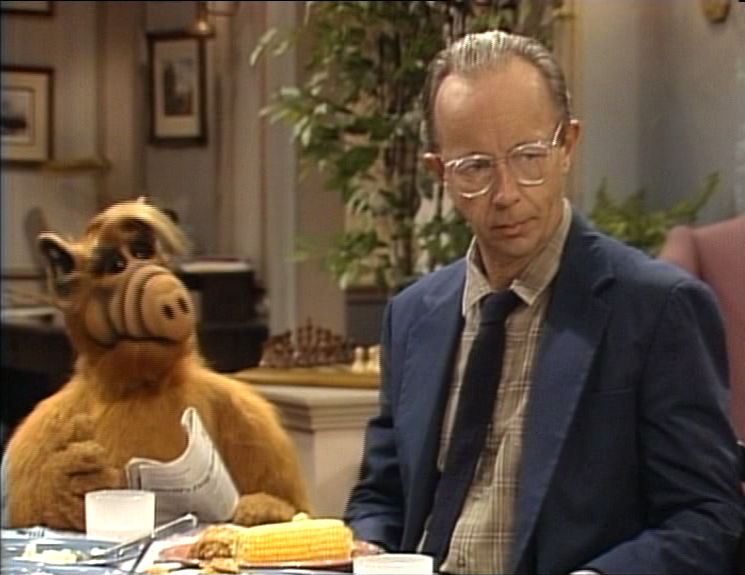 As long as ALF is in the Lee Van Cleef role, I’d review it. Oh my Goddess, that pic above of Lynn and ALF. Andrea Elson looks so adorable. It is funny how the fourth season is such a blur to me. 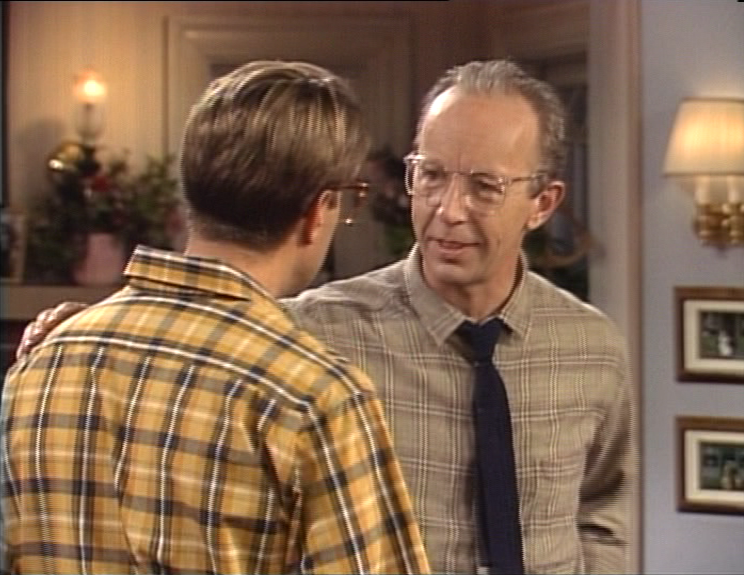 But I can only vaguely remember Willie’s brother joining the cast. So there is no way for me to give you my opinion on these episodes or Neal’s character. You’ve mentioned a few times this season that you didn’t really remember the episode, which I think is interesting since you seemed to have a pretty sharp memory of the previous seasons. Is it possible that season four doesn’t get the same play in syndication that the first three seasons get? Genuinely curious if that’s the case. Yeah, it’s weird. Of course, I don’t really remember every episode from the previous seasons either. And it has been a few years since I last watched the show. But except for “We’re in the money”, season 4 has been a blur to me so far. And yeah, “Baby come back”. I forgot to mention that I remembered that one too! But other than that, we’ll just have to see what comes up later in the season. I believe I remember “Hungry like the wolf” pretty well though. 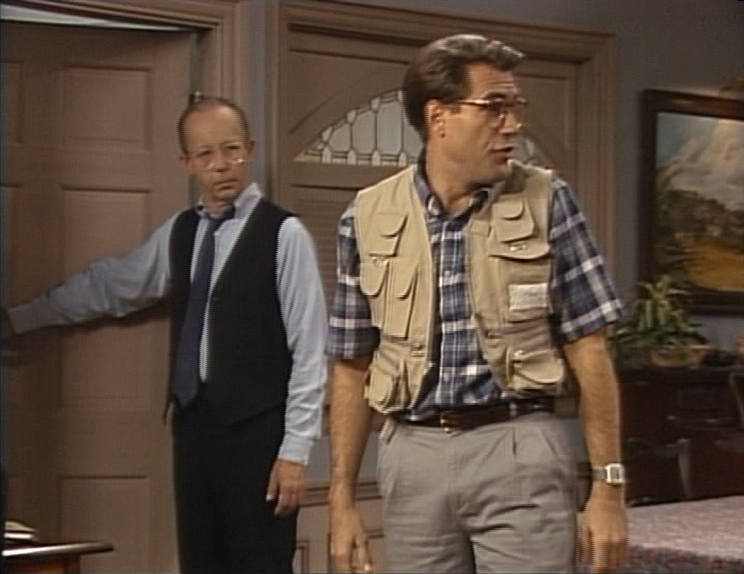 You might be curious to know that we don’t hear ALF signing Madonna when Neal turns on the tape recorder in the syndicated version. Instead, we hear that horrible melmacian hiccup sound, recycled from “Something’s Wrong with Me”. I thought that was funny. 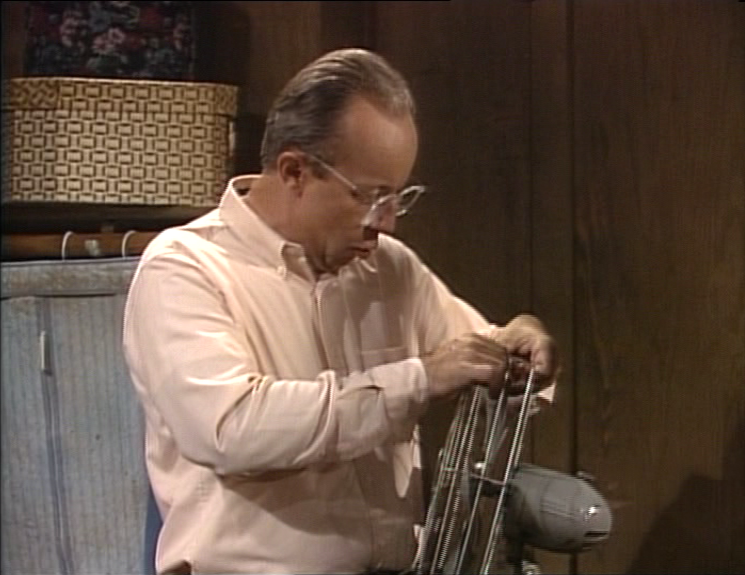 Picturing ALF alone in the attic, listening to a tape of his own bodily noises. A social worker is not a therapist, the reviewer confuses the two. A social worker is involved with helping a person as he needs to be integrated into a society, such as getting a home after being homeless or having to relate to bigotry in one’s environment or getting a job when one has been unemployed or is disabled and harder to employ. It’s not social work to give individual counseling to a person having a personal problem. Next Next post: Xmas Bash!!! Update: The Return of Amanda!